This is probably our favourite Jameson Whiskey. 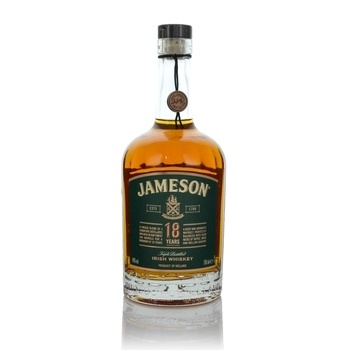 Jameson 18 Year Old Limited Reserve is an exceptionally balanced whiskey being a blend of two pot-still whiskies and a small amount of single grain matured in Oloroso sherry casks then finished in bourbon wood for 6 months. Its mellow, complex taste and lingering finale of wood, spice and toffee have been deftly created by the Master Blender. His hand-picked selection of no fewer than three exquisitely poised whiskeys serving as the light, shade and foreground used to craft this unique blend.